Oxtail is a popular ingredient in Hawaiian cooking. 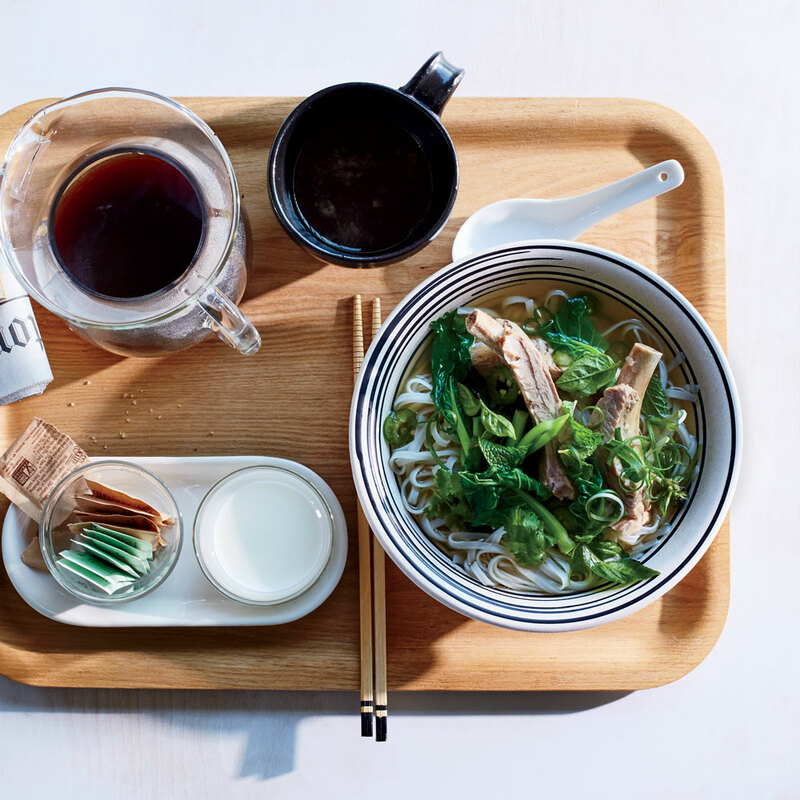 Roy Choi makes it the base for the broth of his hearty soup and adds plenty of the tender braised meat as well. The soup is also packed with ramen noodles and sliced daikon and leeks, and then garnished with crisp, sweet fried garlic chips. 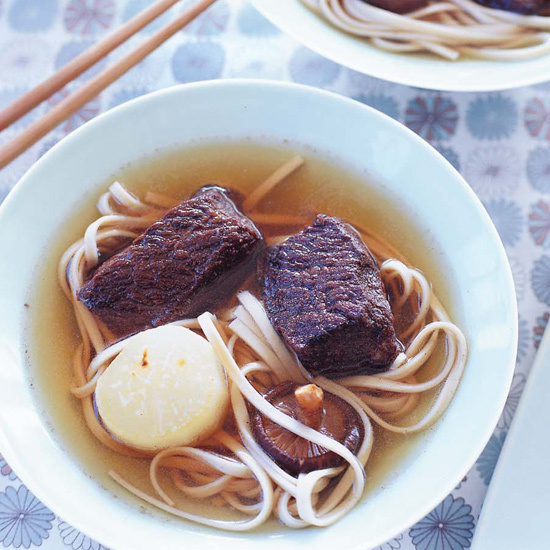 Chewy udon noodles have a mild flavor that's wonderful with the delicate spices in this rich beef broth from chef Nobuo Fukuda of Sea Saw in Scottsdale, Arizona, who was an mkgallery Best New Chef in 2003. Udon is available at Asian markets and some supermarkets, but if you can't find them, Italian egg noodles are the best alternative. 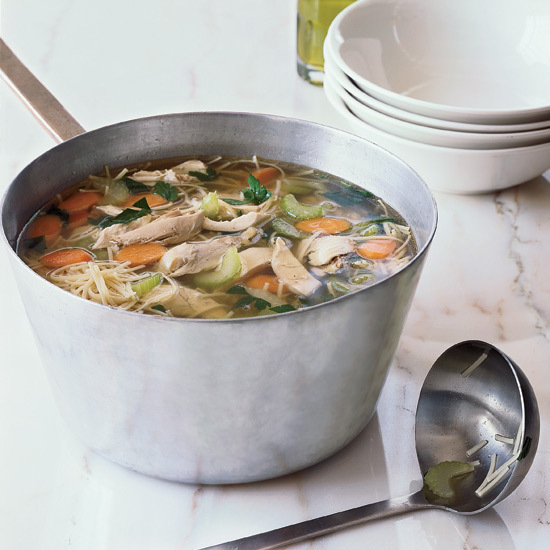 This deeply flavorful chicken broth gets its amazing flavor from slow-simmered chicken, plus onion, garlic and loads of parsley. 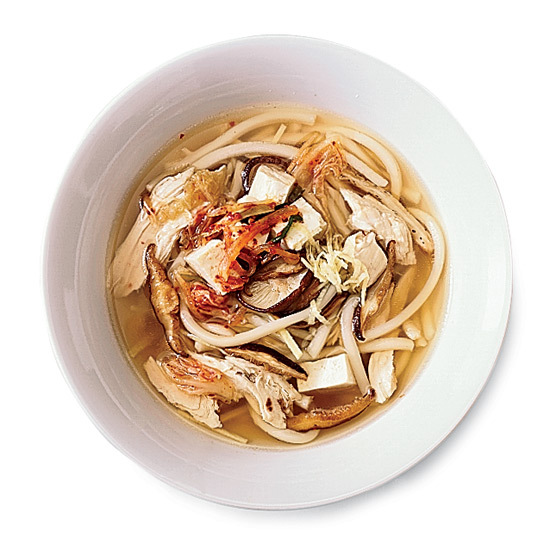 Grace Parisi's exceptionally fragrant soup gets its irresistible aroma from sesame oil. 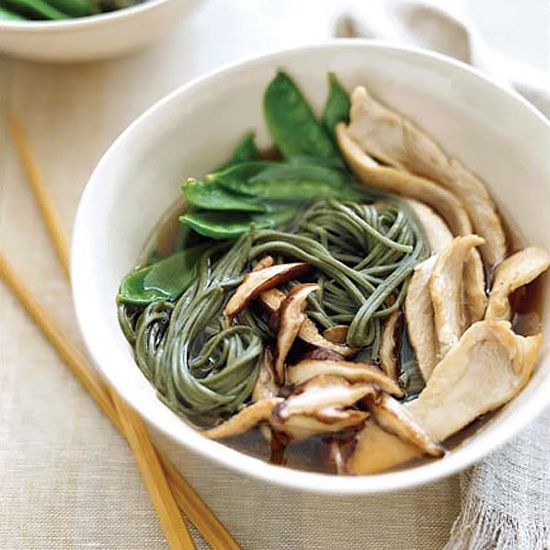 In many Asian cultures, long noodles symbolize long life. And in the spirit of that tradition, we've left the pasta whole here, to be eaten with chopsticks or even a fork. Of course, if you're feeling reckless, you can go ahead and break the noodles into smaller pieces before cooking them. In this nutrient-rich soup, the vegetables are cut very small and the flavors are simple. "It's one of the first dishes I cooked for E.J. and Meril," says Emeril Lagasse. "It's great for young kids." 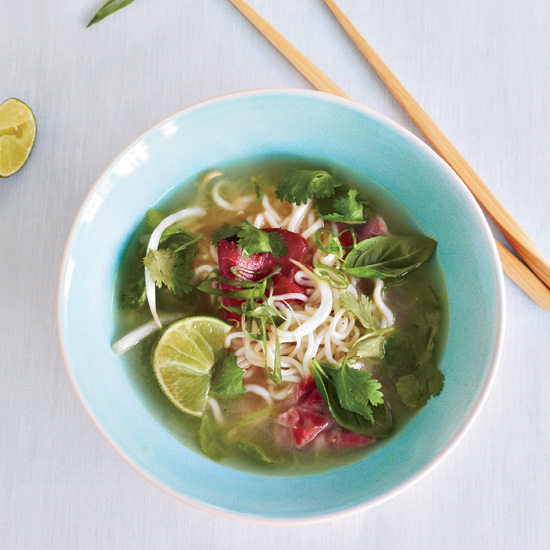 Why settle for just one type of soup when you can have two? 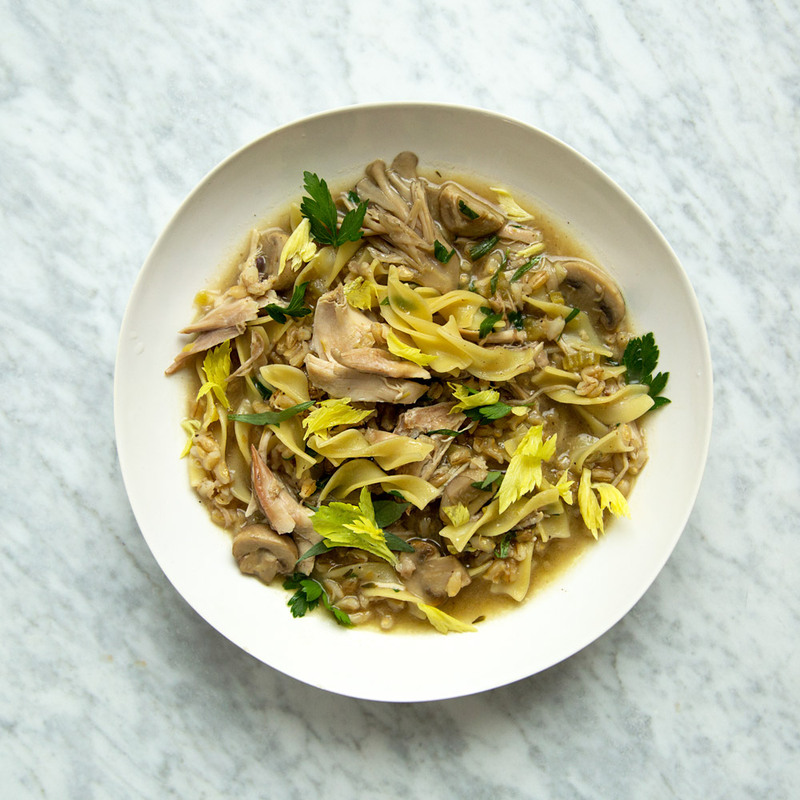 Here, chicken noodle meets mushroom barley, coming together to form an incredibly delightful and soothing pot of soup. 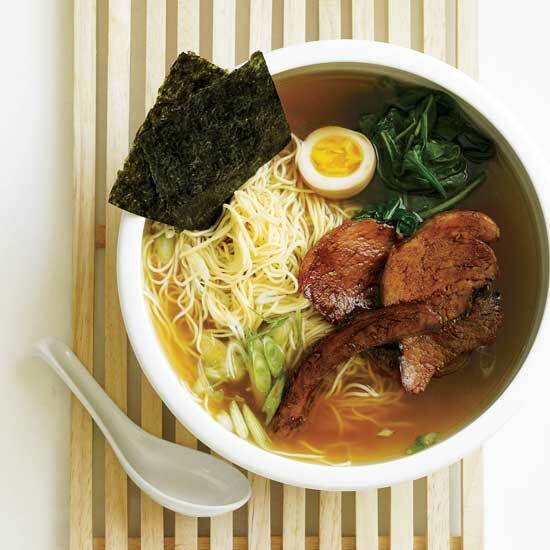 Save the flavor packet from your ramen for another use. 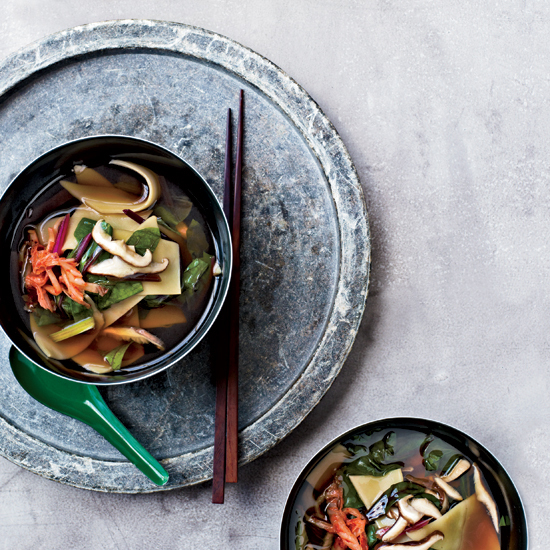 This comforting soup, made with supermarket staples and fragrant with ginger, is as easy--and almost as fast--to whip up as ordering takeout. If you can't find pot pie noodles you can use wide egg noodles instead. 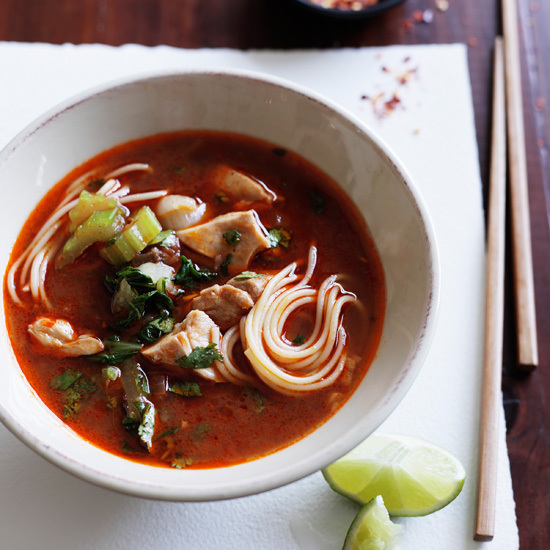 This warming soup really packs a flavorful punch. You can use brown rice instead of wild rice without changing the cooking time for this soup. 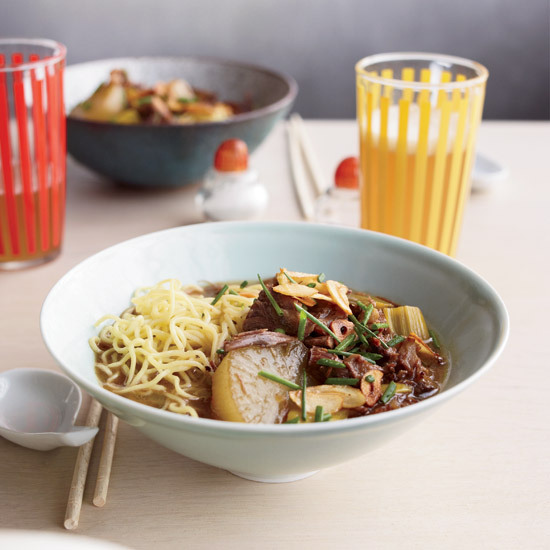 This noodle soup uses wide egg noodles that thicken the soup to the point of becoming a stew. The noodles here aren't cooked in the soup; they'd absorb too much of the liquid. Instead, they're boiled separately, tossed with sesame oil, and then put into bowls, waiting to be warmed by the hot broth. The bok choy goes into the soup toward the end of cooking, so that a hint of crispness remains. Small shell pasta cups the fresh peas in this soup making it easy to get every flavor in every bite. For a lighter version of this soup, use half & half instead of the cream. 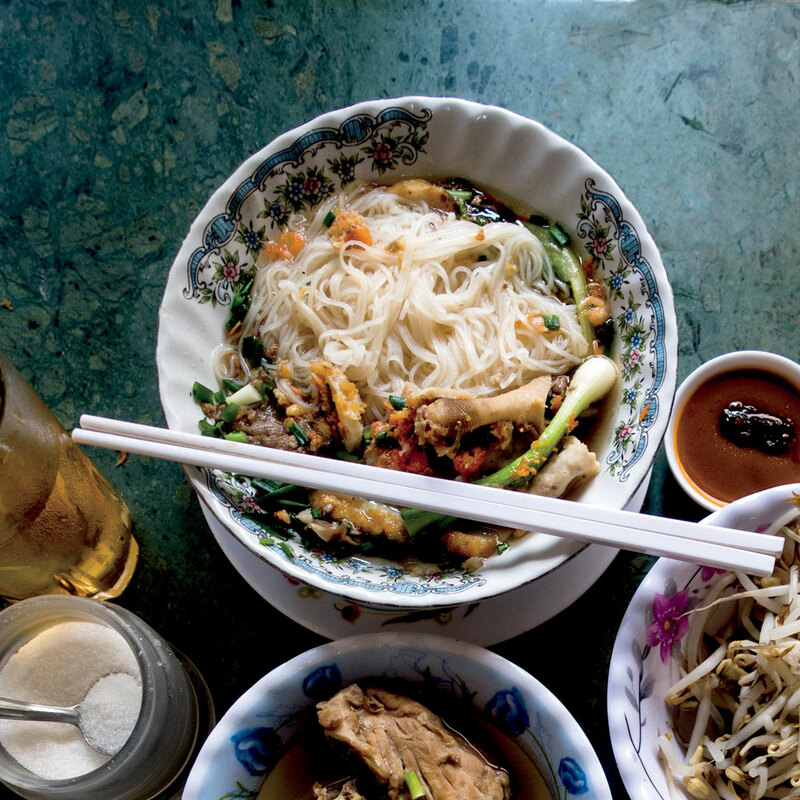 Kuy teav, a rice noodle soup traditionally served for breakfast in Cambodia, takes on layers of flavor from shrimp, pork, and vegetables. 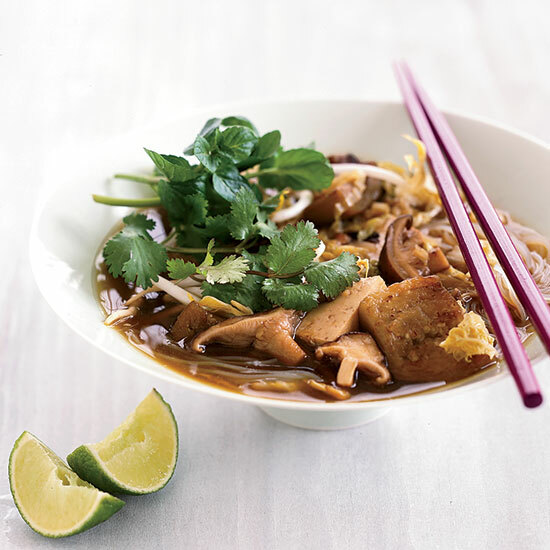 In Deana Saukam’s version, you ladle the rich stock over crisp lettuce leaves and rice noodles then top to your liking with herbs, sliced chiles, soy sauce, and lime.